Welcome! 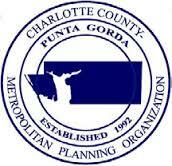 The Charlotte County-Punta Gorda Metropolitan Planning Organization (MPO) is YOUR link to state and federal transportation decision-making! 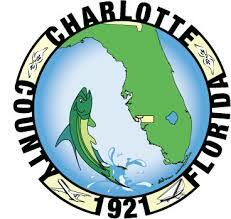 We translate your local priorities in Charlotte County, Florida into state and federal transportation project funding. An Metropolitan Planning Organization (MPO) is a federally-mandated and federally-funded transportation policy-making organization that is made up of representatives from local government and transportation providers. The United States Congress passed the Federal-Aid Highway Act of 1962, which required the formation of an MPO for any urbanized area (UZA) with a population greater than 50,000. Federal funding for transportation projects and programs are channeled through this planning process. Congress created MPOs in order to ensure that existing and future expenditures of governmental funds for transportation projects and programs are based on a continuing, cooperative, and comprehensive (“3‑C”) planning process. Statewide and metropolitan transportation planning processes are governed by federal law (23 U.S.C. §§ 134–135). Transparency through public access to participation in the planning process and electronic publication of plans now is required by federal law. The Charlotte County MPO coordinates with the following local entities regarding the transportation network within the MPO’s planning area boundary. 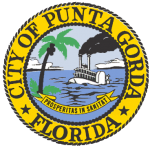 This boundary includes Charlotte County, the City of Punta Gorda, and the southwest portion of DeSoto County. Do you know your AAASWFL from your YOE? Click here for a guide to some acronyms the MPO works with on a daily basis. Technical Advisory Committee and Citizens Advisory Committee meetings are held at 25550 Harbor view Rd, Port Charlotte FL 33980. The next TAC/CAC meetings are on April 17, 2019. 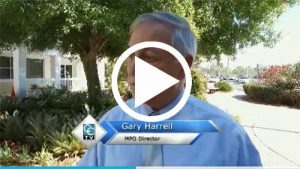 The next MPO Board meeting is on May 6, 2019 at 18500 Murdock Administrative Building, Port Charlotte, FL 33984. We have two vacancies on the Citizens’ Advisory Committee (West County resident and a At- Large Representative). We also have a vacancy for a Bicycle/Pedestrian Advisory Committee ( West County Rep) . Additionally there is an opening for a Disabled Representative on the Charlotte County Transit Local Coordinating Board (LCB). Applicants for this position must have a recognized disability. Please contact Gene Klara or Bekie Leslie for more information at (941) 883-3535. All Vacancies are open until filled.